The first Trine game came out almost 10 years ago. The series was and still is developed by Frozenbyte Inc. The games follow Zoya the Thief, Amadeus the Wizard, and Pontius the Knight, each with different weapons and abilities. Together they must journey through various areas, advancing by solving puzzles. The player does this by switching to the different characters to use their abilities when the situation calls for it. Last week, publisher Modus Games announced Trine 4: The Nightmare Prince with a trailer. It will release in Autumn of 2019, 10 years after the release of the first game. Trine 3: The Artifacts of Power was a slight departure from the series MO. Normally a 2D side-scrolling experience, Trine 3 took a (mis)step into the 3D realm. The platforming and puzzle solving that Trine was loved and known for did not translate well into the third dimension. After testing those waters, the series appears to have returned to the fully 2D gameplay in Trine 4. According to the trailer, the three heroes reunite to save a runaway prince. However, they soon find that there is more to this quest than they first thought. It is not just a new game the trailer is announcing. Alongside the release of Trine 4, Frozenbyte is also releasing Trine: The Ultimate Collection. This collection includes all four Trine games in one package. 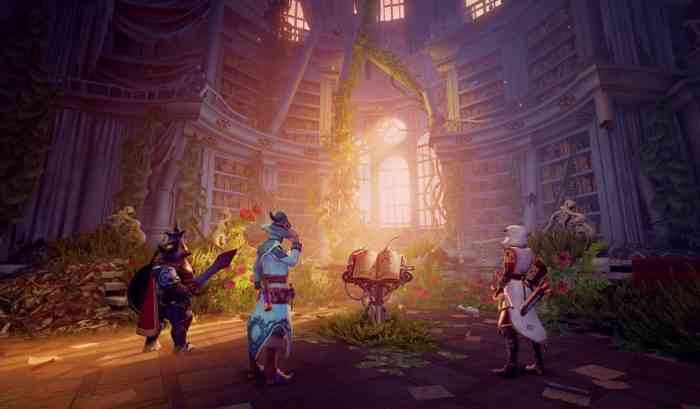 Trine 4 and the Ultimate Collection will launch in Autumn 2019 on PC, Xbox One, and PlayStation 4. No word yet on a Nintendo Switch release, but the previous three had been ported to the console, so it certainly is not out of the question. Will you be picking up Trine 4 or the Ultimate Collection? Let us know in the comments below.